Citing sources familiar with the matter, Deadline reports the Elvis project was in its infancy, having been arranged a couple months ago. The Apple Music deal was inked prior to Apple's establishment of a worldwide video division in June, when the company hired former Sony Pictures Television executives Jamie Erlicht and Zack Van Amburg. Details are scarce, but those involved said there were rumblings that the project was shaping up to be a biopic franchise, perhaps covering other famous musicians like Prince and Michael Jackson. According to the report, the initiative was just past the dealmaking phase, making it relatively easy for Apple to axe the program from its Apple Music lineup. A growing list of sexual harassment allegations against TWC founder Harvey Weinstein are thought to be at the crux of Apple's decision. Last week, The New York Times ran a scathing report detailing numerous accounts sexual misconduct, many of which claim Weinstein abused his stature as a member of Hollywood's elite to force unwanted advances on actresses and female employees. The explosive revelations led Weinstein to take a leave of absence from his company before being fired by its board of directors on Sunday. In 2016, Weinstein Television partnered with the Elvis Presley to create an 8- to 10-part television series. Terms of the arrangement granted TWC music rights and access to Presley's estate, including his Graceland home, automobiles, clothes and jets, the report said. 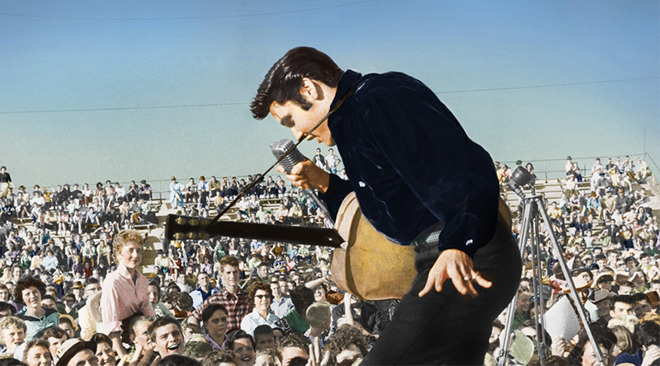 Whether TWC intends to shop the Elvis series to another bidder is unclear.